First Lady Jacqueline Kennedy and her children, Caroline and John Jr., play with parakeets Bluebell and Maybelle in John’s nursery, Nov. 27, 1962. President John F. Kennedy wasn’t just a dog and horse owner — the Kennedy family also had a pair of parakeets while in the White House. Named Bluebell and Marybelle, the two birds were John Jr.’s pets, according to the John F. Kennedy Presidential Library and Museum. 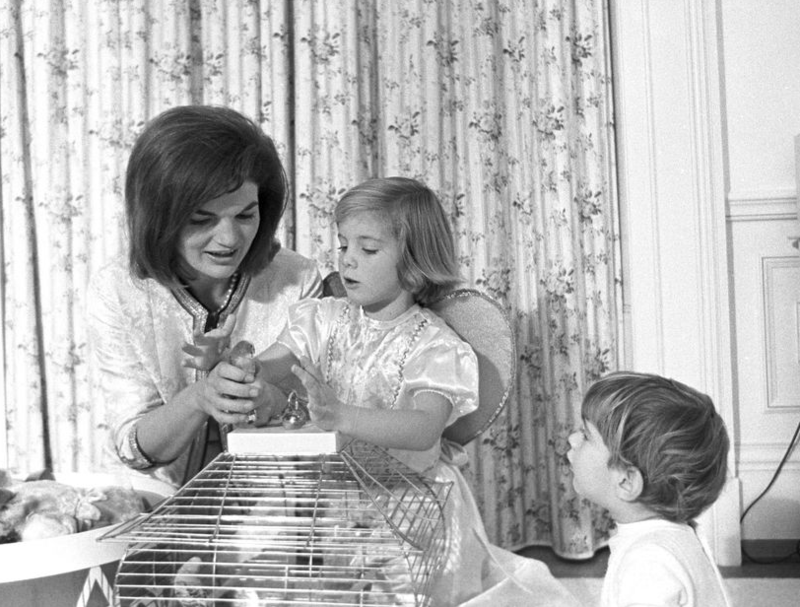 The parakeets lived in cages, although First Lady Jackie Kennedy was seen playing with John Jr. and Caroline in the nursery with the parakeets. 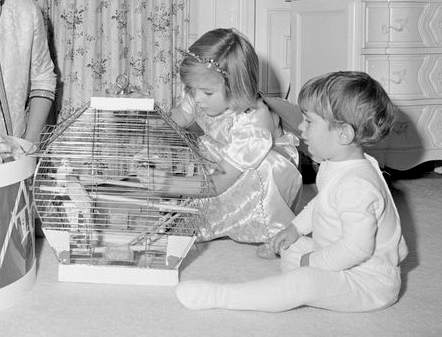 Both children seemed to genuinely enjoy the birds, and when the family had to move out of the White House after the assassination of JFK, the parakeets went with them. Carolyn and John Jr. with their pet birds. Neighbors in the Georgetown neighborhood spotted the parakeets arriving in their pink-covered cages just before the First Family. Not much is known about Bluebell and Marybelle. Unlike some of their more boisterous co-pets, such as Charlie and Pushinka, the birds seem to have lived quietly and not made a fuss!